Caftans… they’re just awesome. They’re like the ultimate maxi dress, but even simpler to make and more elegant. And far more fabulous… and yet also more than a bit kitschy. It’s like Elizabeth Taylor and Mrs. Roper got together for a pajama party and their loungewear got freaky while they were painting each others’ toenails. Or something. 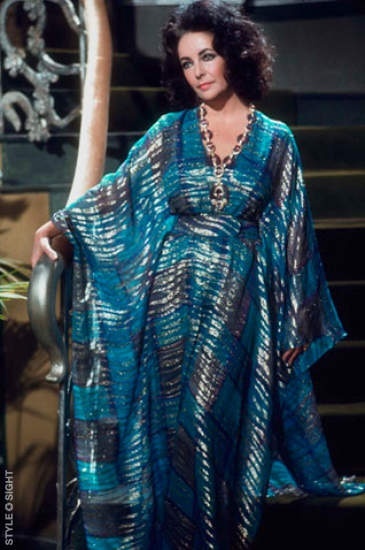 Elizabeth Taylor, 1974, in a gorgeous metallic caftan. 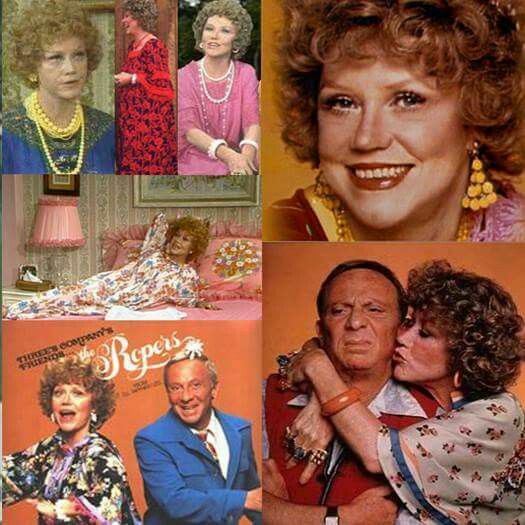 The indomitable Mrs. Roper, she of sitcom Three’s Company, was always fabulously attired in a crazy caftan or muumuu. Can you imagine Elizabeth Taylor and Mrs. Roper in the same room? Hmm. Maybe not, but their caftans could definitely party together. 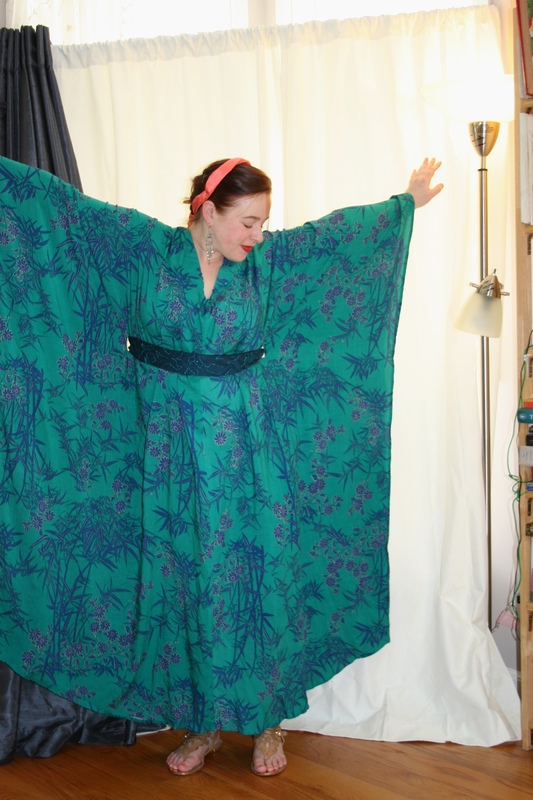 One of my ambitious plans this summer was to sew a couple caftans for at-home loungewear or fabulous summer party wear. Yeah… that went bust. Like I even attend fabulous summer parties. Maybe one per summer. But I still like sewing things occasionally for my imaginary life. I bought some beautiful rayon challis (because it’s awesome; it’s the best summer fabric, even better than linen), found an amazing early ’70s caftan pattern, and …. nothing. Other projects took the front seat, while my caftan fabrics waited patiently, all washed and ironed and folded on my dining room table. 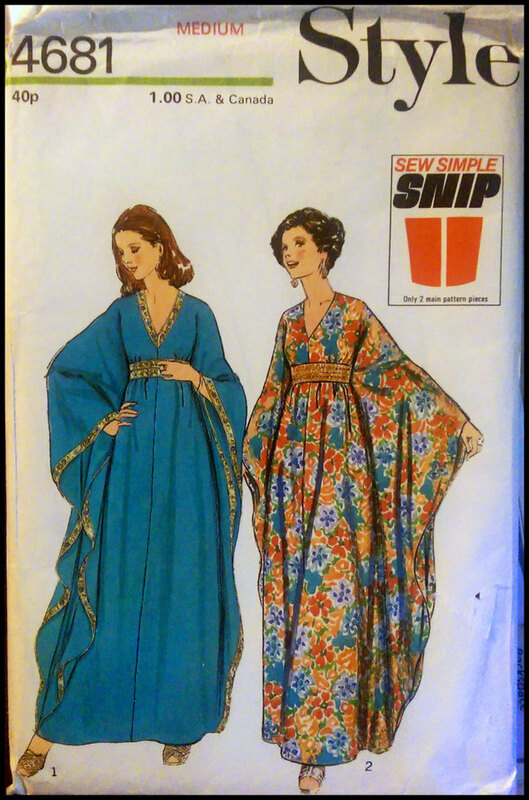 The perfect vintage 1970s caftan pattern. I think the company is British. Anyway, they called this a “leisure dress”. How could I NOT buy it? Then August rolled around, I realized the summer was almost GONE, and nary a caftan had I sewn. And an outdoor event for which a caftan would be a perfect outfit presented itself: a local land preservation organization’s sunset wine tasting fundraiser, to be held at the top of the highest hill in town with gorgeous views of the distant mountains. 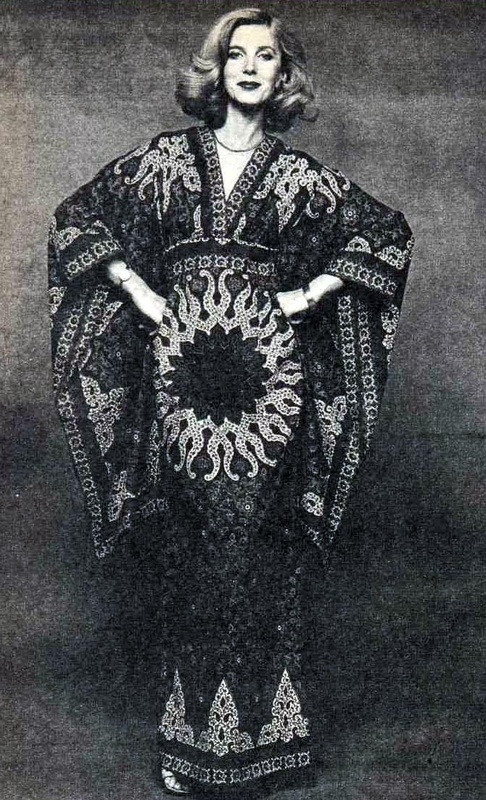 I mean, if I can’t wear a fabulous caftan to a Wine Tasting. Fundraiser. Outdoors. in the EVENING–when can I? So I got to work on one. 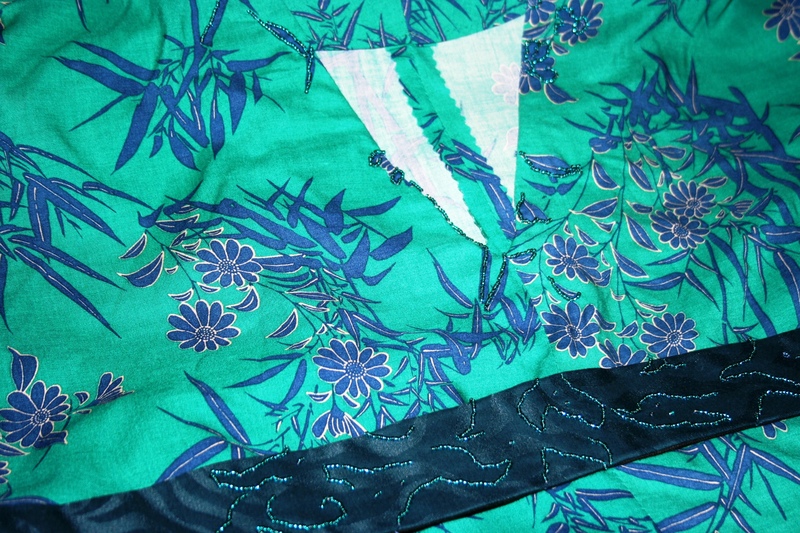 I chose a dark teal-green bamboo-printed challis. It took about a day, all told, to cut the large pieces, pin and baste the side seams, finish the neck and the sleeve/bottom hems, and then make the belt. 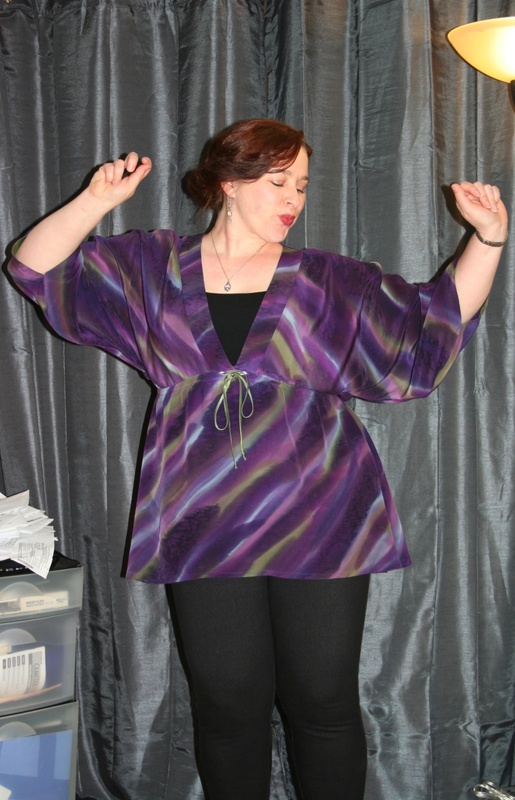 The finished caftan without the belt is quite elegant, just hinting at the shape underneath. It was fabulous from the start, but I wanted a little more … oomph. So I got some beautiful seed beads and randomly sewed them atop parts of the fabric print around the neckline and onto the belt. Perfection! Gorgeous iridescent peacock blue/green beads give a little shine and sparkle to the neckline in random patterns, and on the belt, following the pattern of the jacquard weave. The caftan looks amazing without the belt, but I wore it with the belt for the fundraiser. And it was so comfortable and easy to wear and strangely elegant. Just like I knew it would be. I had a fabulous time at the fundraiser, first volunteering and then drinking wine with a friend, in my fabulous caftan. 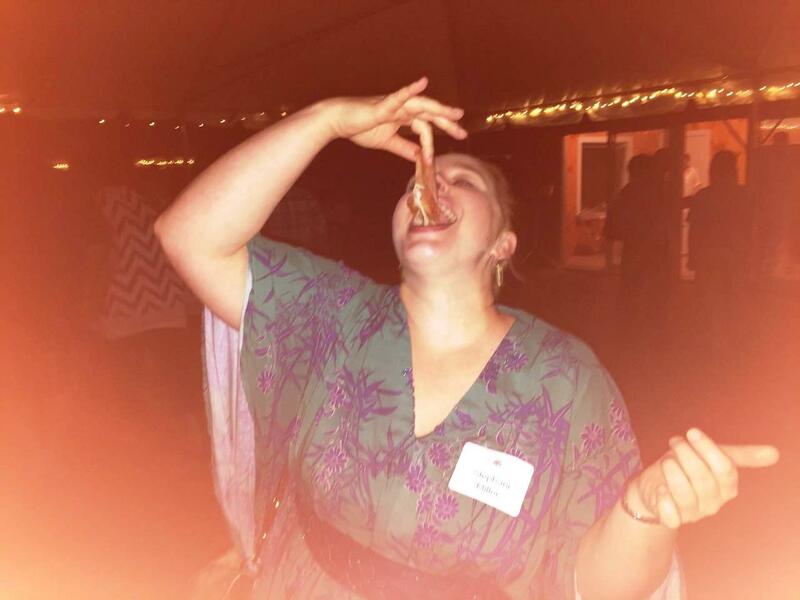 Yeah, so there was prosciutto as well as wine at the party…How decadent am I in my caftan? I love it. I want more, but the next one (or two) will have to wait until next summer. After all, how many caftans does one woman need? It’s not as if I am Elizabeth Taylor or Mrs. Roper. But maybe one day!